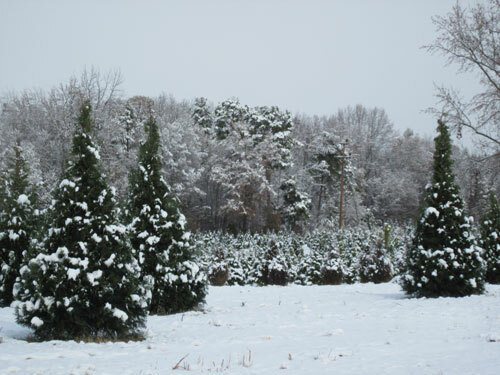 Welcome to May-Lan Tree Plantation’s web site. 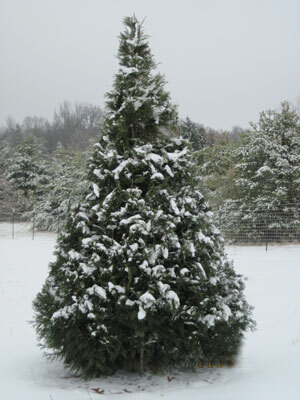 You will find all kinds of information regarding everything from what is going on during pumpkin season to finding that family tree at Christmas. And best of all you’ll have fun doing it! Today, May-Lan is not just a harvest your own Christmas tree farm that is providing second and third generations of families with a holiday tradition but where you can take a hayride, be totally confused trying to select the right pumpkin, visit with several types of barnyard animals, see a display of nearly 200 types of barbed wire, enjoy a family picnic, toast marshmallows on an open fire, tell Santa your secret wishes, send a letter to the Great Pumpkin, grab wreaths or mums (depending on the season) to decorate your home, purchase your own “Flying Pig”, enjoy a bottle of cold cider, and a whole lot more! As you explore our web site, you’ll discover details on seasonal activities, special events and ticket information. To help save fuel and make sure you can’t get anywhere else, we have included a map and written, detailed directions telling you the best route. 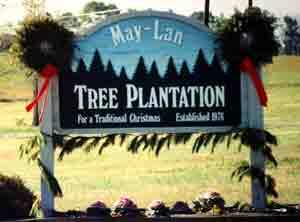 So bring the camera, the kids, and a kid’s heart and make special memories at May-Lan Tree Plantation! However, please do not bring your pet. They may scare our farm animals and/or other customers. Thank-you for your consideration.